Scientists are encouraged by new research showing that a chemical found in our brains called phosphatidylserine, or PS for short, might be able to help children with attention deficit hyperactivity disorder (ADHD) better manage symptoms that impede their ability to learn and socialize. Phosphatidylserine is an important chemical with widespread functions in our body. Part of the cell structure, it's essential in the maintenance of cellular function, especially in the brain. PS is the major fatty substance in the human brain, where it plays a key role in determining the structure, integrity, and function of the membranes in brain cells. Normally the brain cells can manufacture sufficient levels of its own phosphatidylserine, but there's evidence that insufficient production is common, especially in people over the age of 50 and in children with attention deficit hyperactivity disorder (ADHD). Now there's promising research showing that PS may benefit children or adults with ADHD. The membrane of brain cells is a major action center. It not only regulates what goes in and out of the nerve cell, but also serves the as a transmitter and receiver of chemical messages that allow cells to talk to one another. PS is critical in the function of healthy brain cells. Not only does PS affect the outer nerve cell membranes, it also becomes incorporated within the inner cell membranes, thereby improving energy production within the brain cells. When the individual cells of the brain have more energy, the brain as a whole is energized, has more power, and functions better. As a result, PS may help children with ADHD have more mental clarity and demonstrate improvements in memory and mental tasks. A recent landmark study conducted in Japan offers some fascinating data that may serve as a jumping-off point for further investigation. 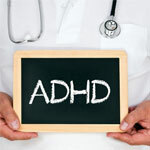 Thirty-six children, aged 4 to 14 years, diagnosed with ADHD who had not previously received any drug treatment related to ADHD, received either a placebo or 200 mg/day of PS for two months in a randomized, double-blind study. The main outcome measures included: (1) ADHD symptoms; (2) short-term auditory memory and working memory; and (3) mental performance to visual stimuli. The results showed that PS supplementation produced significant improvements in all main outcome measures as well as inattention and impulsivity. PS was well tolerated and showed no side effects. These results are extremely promising and indicate that PS supplementation may offer a safe and effective alternative to conventional drug therapy for children with ADHD.